A luxury sailing charter in San Diego is a unique experience that everyone should have in their lives. 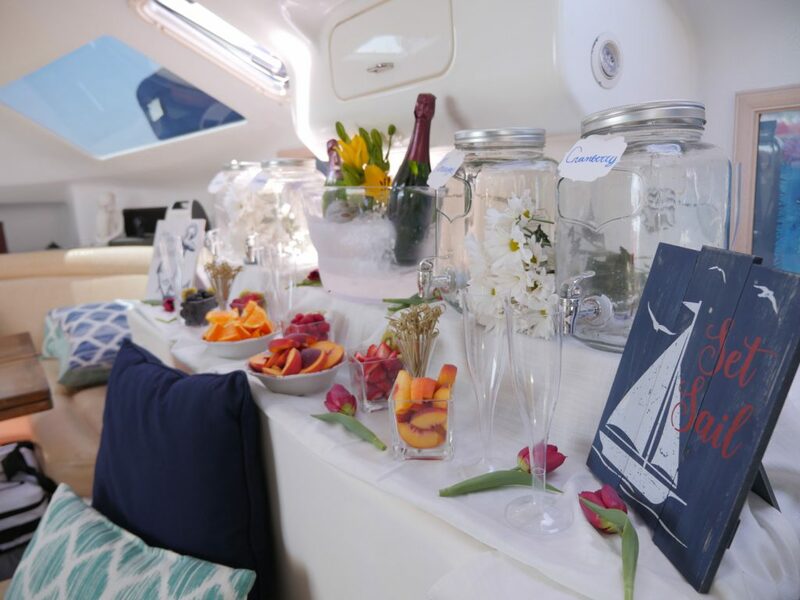 Imagine celebrating special moments with friends and family aboard a luxurious catamaran charter, with a crew at your disposal and drinks all around. Memorable, to say the least, right? In this blog post, we’ve covered everything you need to know about Malarky Charters in San Diego and the best sailing cruises available. On the Pacific Coast, San Diego is the go-to place for parks, beaches, and watersports. In fact, San Diego is one of the most visited tourist destinations in the USA. There could be many reasons for it, but we suspect it’s because of the great weather year-round and all the fantastic activities tourists and locals get to experience out here. As far as fun and unique experiences go, San Diego is the place to beat, especially if you’re into watersports or like to enjoy the ocean. What better way to the take in the Pacific ocean, than to go in it? Plus, the view of the coastline from the sea is sensational. In San Diego, people get to do more than just go to the beach and dip their toes in the water. They get to experience the ocean in many different ways. Best of all, there’s something for everyone. Those looking for adventure, get to experience the flyboard, jet skiing and much more. But, if your goal is to relax and have an amazing time with your partner, family or friends then a sailing charter is the way to go. Whether you’ve been in San Diego your entire life or are just visiting for a few days, chartering a boat in San Diego is a must, if you want to enjoy the best things life has to offer. You can choose between many different vessels and rent by the hour. Depending on which one you rent, you will sail it on your own or get a crew. For instance, a yacht charter will, most likely, have its own crew to pilot it while you sit back, chill and enjoy the view. San Diego is the perfect spot for such an extraordinary experience as is a sailing charter. When you’re out in the ocean, you get to look back at the coastline and take in that magnificent view. Plus, you can dive from the boat, enjoy the water and come back aboard to relax. How to go About a Sailing Charter in San Diego? When you decide to get a boat in San Diego, the first step is to find a boat charter, which you already did, Mission Bay Sportcenter. Getting your vessel from a reliable and experienced place will ensure you’ll enjoy the day without any concerns. Another crucial decision is to select the kind of charter you want. 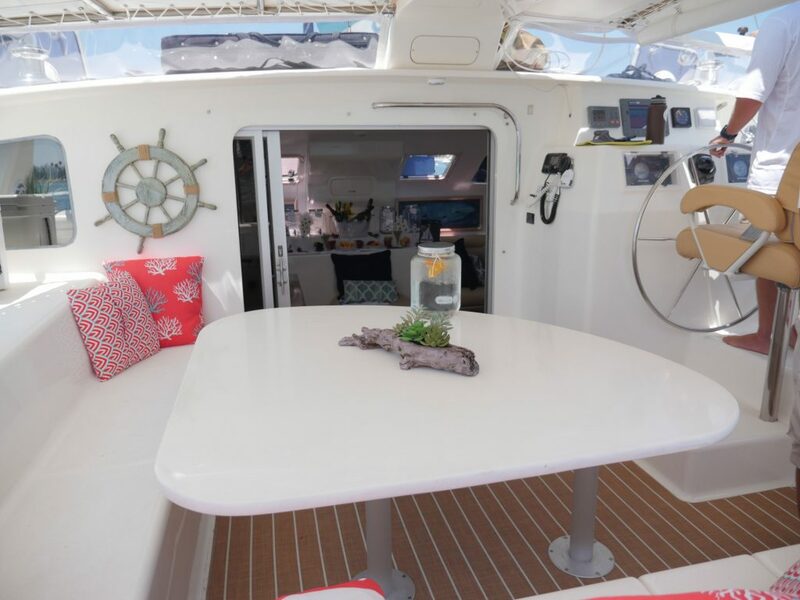 At MBSC, you can choose from dive charters and private sailing yachts to the luxurious Malarky Catamaran. Any vessel that’s for rest is technically considered a yacht, which means the catamarans also are yachts. The difference between this vessel and others is that it’s a two-case yacht. The catamaran, unlike one-case yachts, doesn’t bend on one board or heel at strong winds or waves. Instead, it moves smoothly, and passengers are usually not swayed. Regarding luxury and comfort, the catamaran is practically a house on the water. It’s a massive yacht, and it’s as comfortable as it gets. Since it’s a two-case yacht, its capacity is also doubled, which means you get more than everything you need for a relaxed day with family and friends. The Malarky catamaran is a luxurious sailing catamaran built to combine sail power with the most comfortable cruise. The Malarky catamaran is the definition of a “Bluewater” vessel, perfect for San Diego’s Pacific coast. For the sailors out there who know all about boats, this one has a 47′ length, dual hull catamaran design, and two engines. Why go Sailing on a Malarky Charter? The reason why Malarky charters are so popular is simple – it’s unlike any other experience you’ve ever had. Nothing compares to the feeling of being out in the water, on a luxurious vessel, all to yourself and your group. At that moment, when you’re on the catamaran charter sailing away into the sunset, it becomes your yacht. While your crew manages everything, you get to enjoy an afternoon like never before. Whether you’re having a corporate event or an intimate family gathering, the yacht charter will make you feel like you and your guests are on top of the world. Also, the yacht can be only the beginning of the fun. Once out in the water, everyone on board can go swimming, stand-up paddle boarding, jet skiing or try many other activities. A catamaran is the perfect sailing cruise for a celebration with friends or a get-together with the family. It has space to accommodate people comfortably, and you can spend quality time with those you love. Imagine surprising your partner with a day out on a yacht like this. It would definitely earn you some extra points. Picture this, while you relax, eat and drink with your friends, the crew takes care of everything, and the catamaran smoothly cuts through Mission Bay. You get a fantastic view of San Diego’s coastline and to hang out with your friends like never before. During the sailing trip, you can also go jet skiing, snorkeling and enjoy the inflatable water slide. 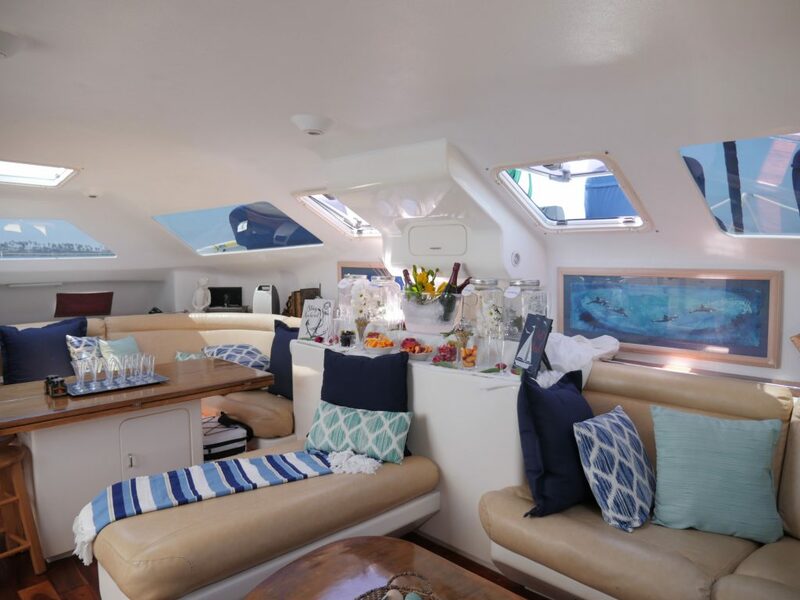 Whether you want to impress one of your clients or throw a staff party that will show your employees how much you appreciate them, this sailing charter in San Diego is the way to go. That’s how you make a fantastic lasting impression about your company. Can you imagine, having your closest friends and family around, all aboard the charter to witness and celebrate your vows to your loved one? The San Diego coastline and the Pacific ocean definitely make the perfect backdrop. It doesn’t get more special than a ceremony on a yacht. The best part about a sailing cruise on a catamaran charter is that it can be the starting point for countless fun activities and you can have different destinations. At Malarky Charters, you can choose amongst many exciting cruises, from sunset cruises, wind & wine to whale watching, movie night and beyond. The perfect end to a vacation day is to take a sunset cruise on a sailing charter in San Diego. It’s an excellent opportunity to relax and enjoy a beautiful evening with friends and family while sipping drinks and having a good time. Get ready for one of those cinematic, breathtaking views. When you’re looking for a relaxed sunset sail and an upscale experience, this is the malarky charter cruise for you. Try different wines and drinks from all over the world while the luxurious catamaran glides over the Pacific Ocean, and San Diego’s coast gets further and further away. If you want to spend some quality time with your family and create an experience they will never forget, this is your sailing cruise. This cruise takes you aboard the Malarky and sails to the enigmatic La Jolla Shores. It’s the perfect place to go kayaking to explore the sea caves and snorkeling to see the marine life up close. For those of you looking for a breathtaking experience, this is it. From May to November, the ocean brings warm waters to the coast, which means we get to see humpback whales, finback whales and thousands of dolphins swimming by. At the Hyatt dock, Mission Bay Sportcenter, you get to sit comfortably in your Malarky charter, in the middle of the bay and watch movies. It’s a fun experience for your family, and you get to relax in a luxurious yacht. What if you want to get a sailing charter for multiple days? Or visit an exotic destination aboard your Malarky charter? At MBSC, you get to build your own adventure. You can choose where you and your guests want to go and make custom stops along the way. The charter will be sailing on your schedule, which means you get to decide when to stop and have some fun in the water. There’s nothing quite like this adventure. Sailing on a luxurious catamaran charter in San Diego to wherever you want is a fantastic way to enjoy life and live it to the fullest. It’s affordable and yet, an unforgettable experience for you and all your guests. Get ready to feel like you’re on top of the world! Book your Malarky Charter now!